Sign mom up to run The Great Mother’s Day Race, a 5K run/walk on Siesta Key Beach. The race is Sunday, May 3rd. For more information, visit their website at Great Mother’s Day Race. You can’t beat the setting of the beautiful Crosley Estate in Manatee County located on Sarasota Bay. On Sunday, May 10th, enjoy Belgium waffles or their coconut shrimp with ginger glaze while you delight in magnificent 1920’s Mediterranean-style architecture and Bay breezes to boot. Visit the Crosley Supper Club website to make reservations in advance. A Sarasota staple for the refined dining experience, Michael’s on East is hosting Mother’s Day Brunch at 10am and 2:30 pm. And if brunch isn’t your thing, dinner reservations are also an option! Visit bestfood.com for more information. Wake up early. Set a nice table. And prepare brunch at home. Surprise mom with freshly brewed coffee, Vanilla Crepes, Grain and Nut Whole Wheat Pancakes, and the Perfect Summer Fruit Salad. Then, for the piece de resistance, make sure mom doesn’t have to lift a finger when cleaning up! Treat mom to a sumptuous brunch at Selby Gardens. With food catered by Michael’s on East and live musical guests accompanying the meal, the only thing that would make it better would be a Beauty Lounge featuring Saks Fifth Avenue and Jo Malon of London….Check! Purchase ticket in advance on their website. Take mom to the Mother’s Day Buffet at the Captain’s Table on Charlotte Harbor. Located at Fisherman’s Village in historic Punta Gorda, enjoy views of Charlotte Harbor with fresh Gulf seafood, hand-cut steaks and dishes from their award-winning chef. Reservations are required. The Ritz-Carlton in Sarasota is hosting a spectacular brunch on Sunday, May 10th between 11am – 2pm. $119 per adult, $42 for children under 12, and children under 3 are free. Be sure to make reservations in advance by calling 941-309-2000 or visit their website for more information. Make a splash in the Gulf instead of your pocketbook. Spread out a blanket along your favorite beach and pack a picnic of mom’s favorite treats – strawberries, chocolate croissants, cheese, and crackers. Spend time together while you play in the surf, lounge on the sand, or fly a kite! Moms receive free admission at Sarasota Jungle Gardens with the purchase of their child’s admission on the same day. Families can enjoy the tropical adventure of one of the oldest continuously operating attractions in Florida. Visit the Jungle Gardens website to lean more. Make it a special occasion with waterfront dining along the Manatee River. A brunch buffet at Pier 22 in downtown Bradenton offers a delicious ham and prime rib carving station, sushi display, omelet station, and much more. Hours for brunch are 11am-3pm and reservations are recommended. Call 941-748-8087 or click over to their website for more details. 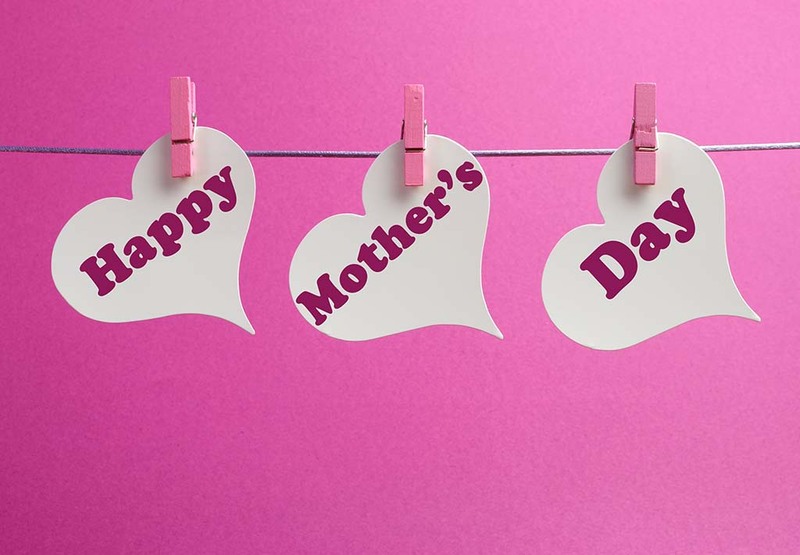 Do you know of any other good places to celebrate Mother’s Day? Let us know in the comments!